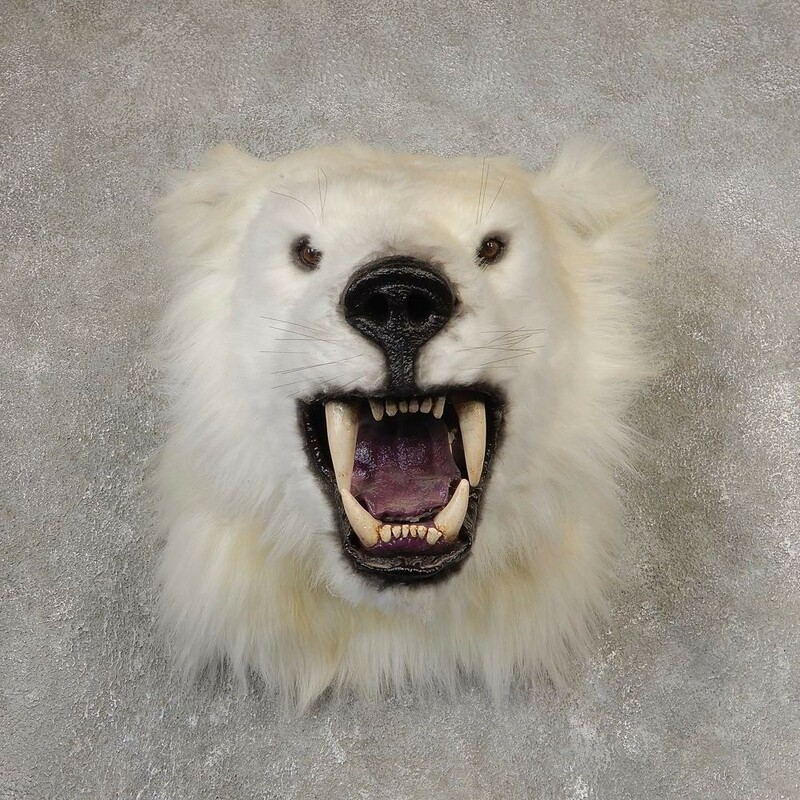 This is a beautiful Reproduction Polar Bear taxidermy shoulder mount, posed looking straight out into the room with an open mouth. It has reproduction teeth, synthetic hair and contains no real animal parts. 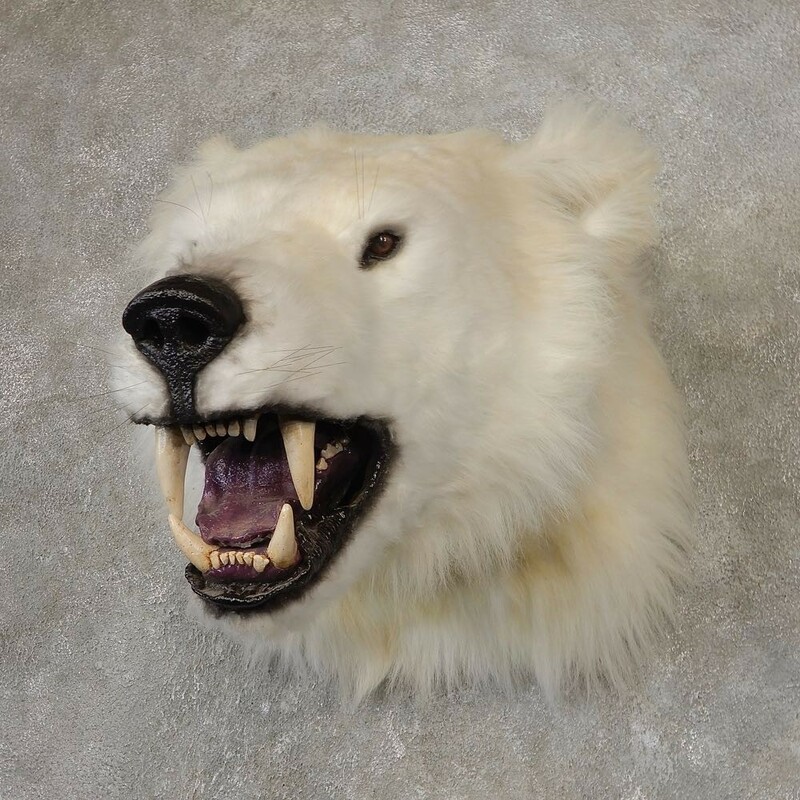 It is very difficult to legally obtain a real Polar Bear shoulder mount, so take advantage of this attractive high-quality replica! The craftsmanship of this piece is superb with amazing detail. 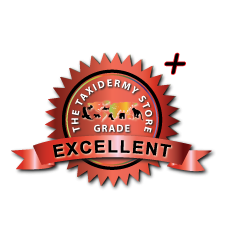 All of this combined has helped this item earn our this item our Excellent Plus™ overall quality rating. 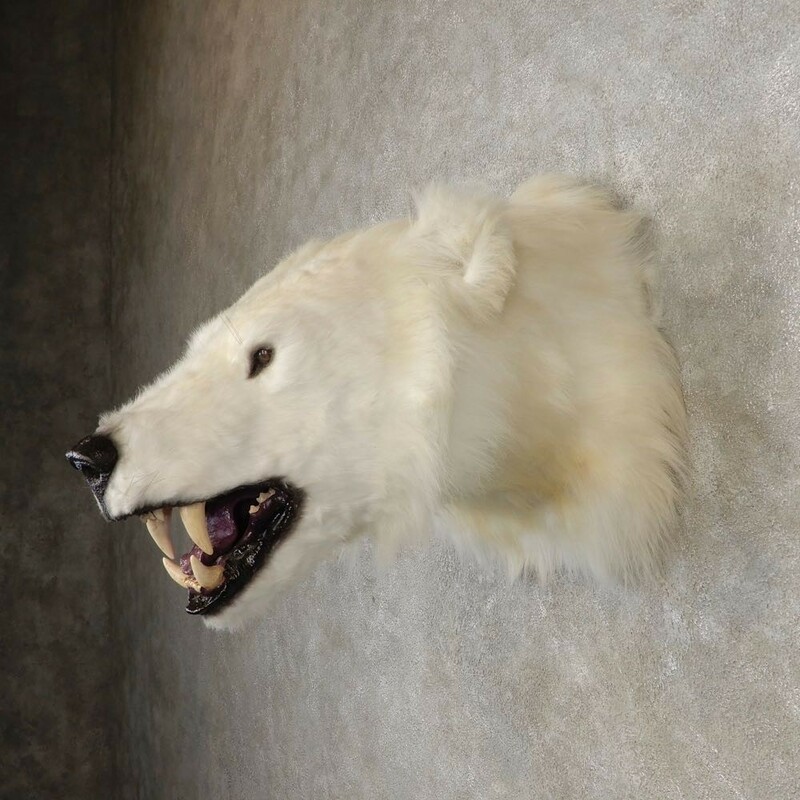 All applicable measurements and dimensions are provided to help ensure this item will fit within your intended space. 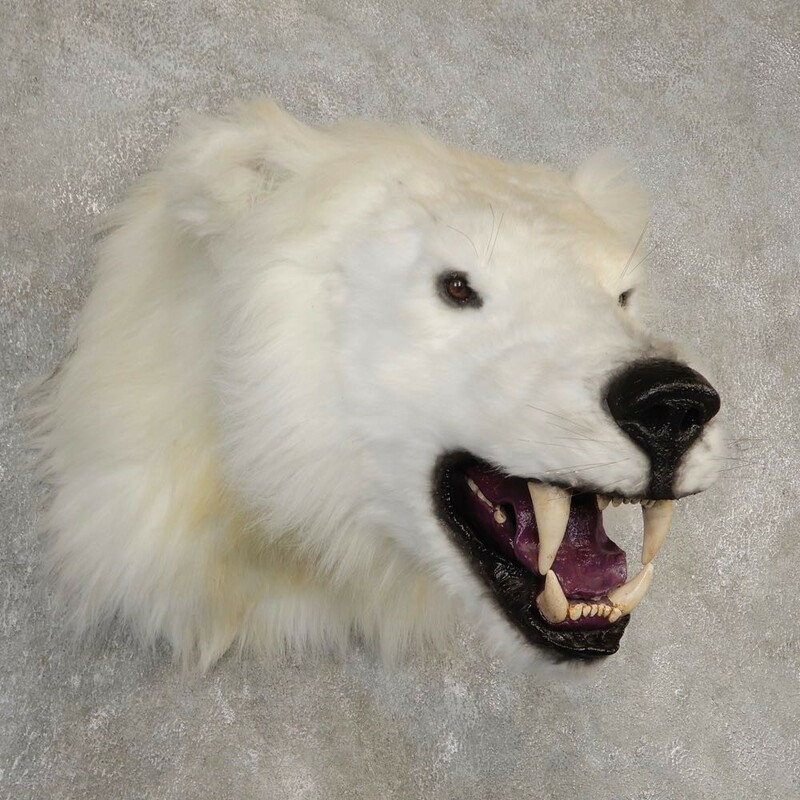 - 100% Faux Replica Containing no Real Animal Parts. 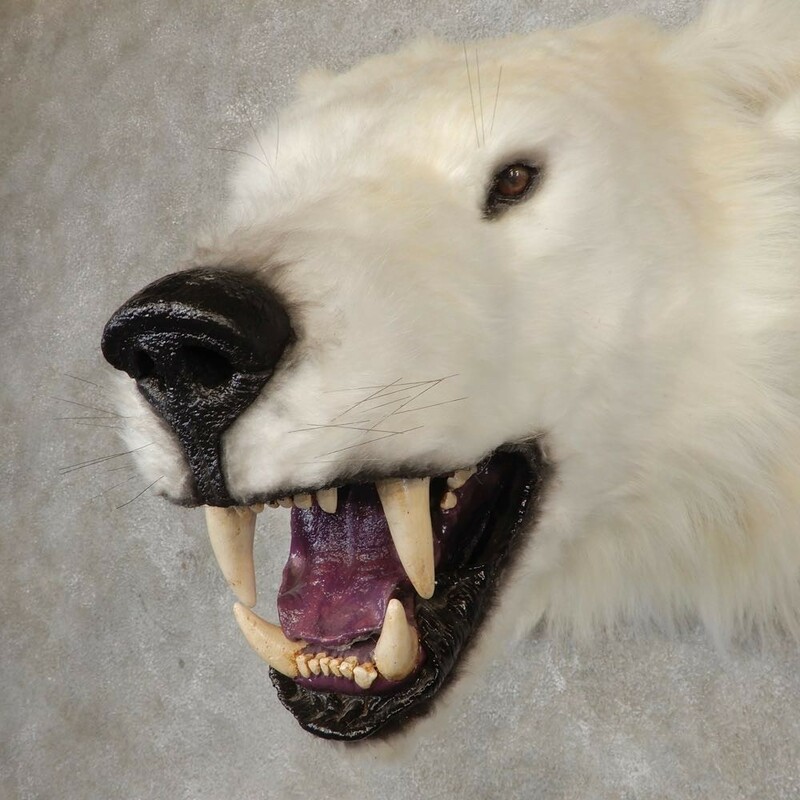 The majestic Polar Bear roam the Arctic ice, and it’s surrounding coastal waters. They are surprisingly strong, agile swimmers, and their large, slightly webbed front paws to paddle and navigate the frigid waters. 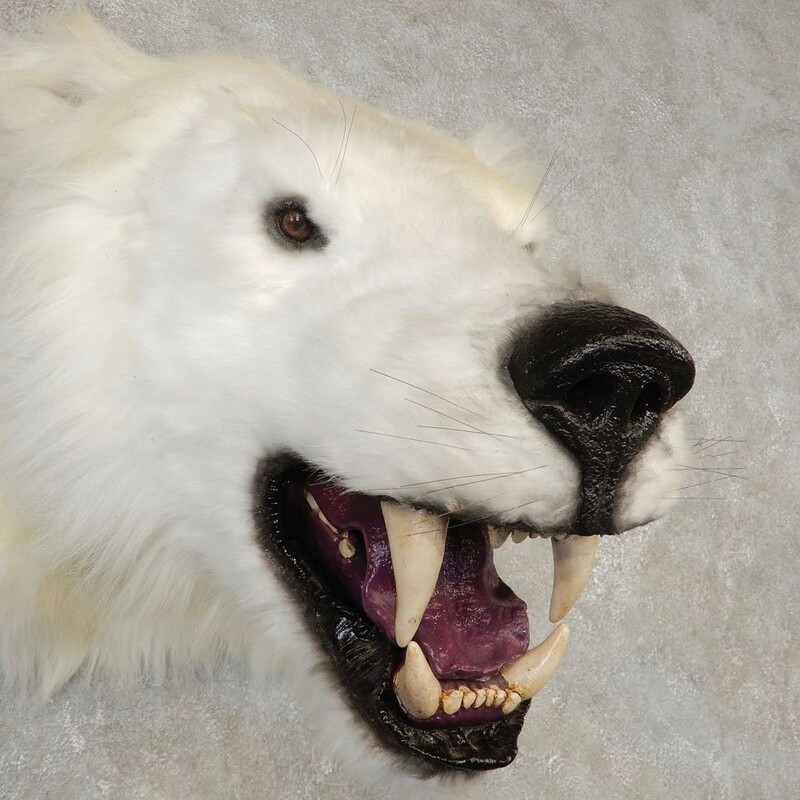 Polar Bear depend on a thick coat of insulated fur, which covers a warming layer of fat. 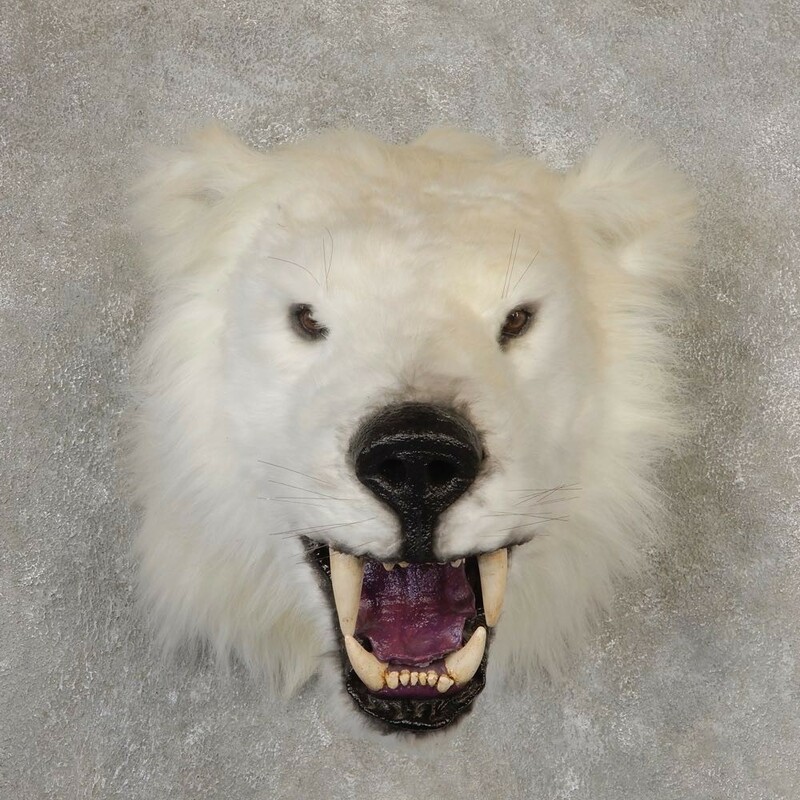 Their unmistakeable white coat provides camouflage around the surrounding snow, yet under their fur, they have black skin which aids them in soaking up the sun’s warm rays. 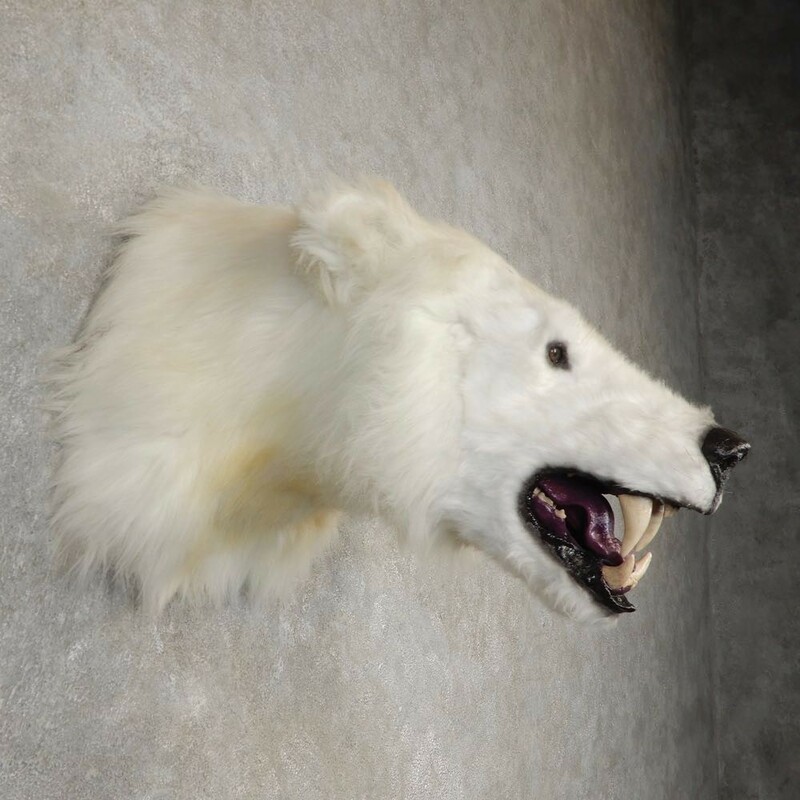 Polar bear mothers typically have twins, who they raise until around the age of two, or until they can hunt for fish and seal on their own.